Just a random photograph taken one morning. 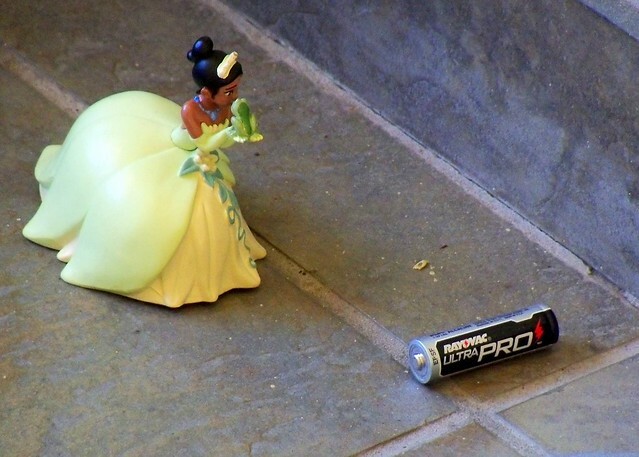 I found the toad-kissing-princess and the battery just as they are, in the apartment building where I work. I’ve never felt that I was kissing toads in hopes they’d become princes. Any guy I kissed I kissed because I liked who he was at that moment, not who he’d be someday. I’m still like that. I like men who are grown-ups: that is, they’re not little boys who constantly need supervision, ones who can remember appointments…..